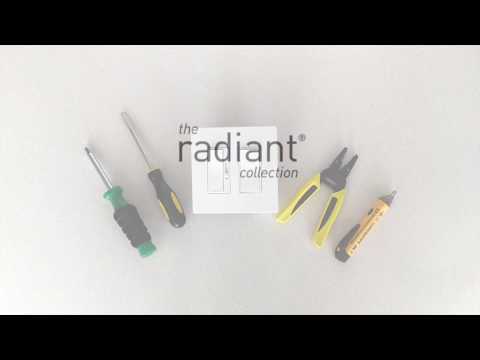 Designed to handle 0-10 volt dimming in fluorescent and LED fixtures. Convenient operation combines ON/OFF paddle switch with separate slider for dimming control. Rated 5 out of 5 by OldEngineer from This is a great dimmer at a good price I just purchased and installed this 0-10v dimmer for a light my wife wanted that was only dimmable via 0-10v dimming. The best feature of this dimmer is that the "Constant memory returns lights to previous level after a power failure". It is very easy to connect and comes with covers for two additional covers in addition to the white. I bought it at a local electrical supply house and it was very cost effective compared to buying one online. I hope it is reliable, it will get a lot of use. Curiously Legrand products did not show up in internet searches for 0-10v dimmers. Does it require a screwless switch plate? Good Morning, This dimmer will work with any wallplate that has a decorator style opening on it. 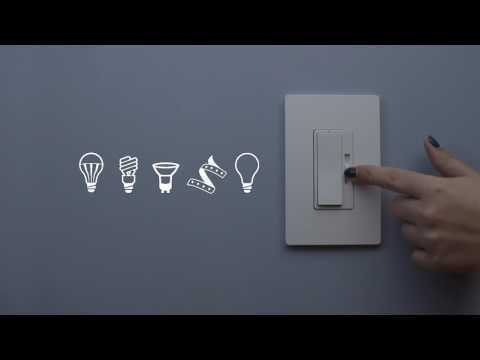 It doesn't have to be one of our screwless ones. Hope this helps! Can you tell me where the RH4FBL3PW is manufactured please. Hello - What is the maxiumum LED wattage that the 0-10v dimmer can control I have 43 x 36W LED 0-10v dimmable linear fittings I want to contyrol them all at once What do I need? The maximum load when installing this dimmer on 120V circuit is 1200W's and on a 277V circuit it is 1385W's. &bull; A maximum of 30 ballasts can be connected to a single dimmer control. &bull; This dimmer is compatible with UL Listed 120VAC or 277VAC rated, 0-10V dimmable ballasts. For example, Advance transformer Mark 7&trade; or Osram Sylvania Quicktronic Helios. does this require 120v at the switch to operate, or will it run on the 10v passing through? Good Morning, 0-10V dimmers are typically not rated by wattage. They are rated by Amperage. They can handle 10A max at 120VAC or 5A max at 277VAC. Hope this helps! Do I need a ballast/driver for the dimmer to work? 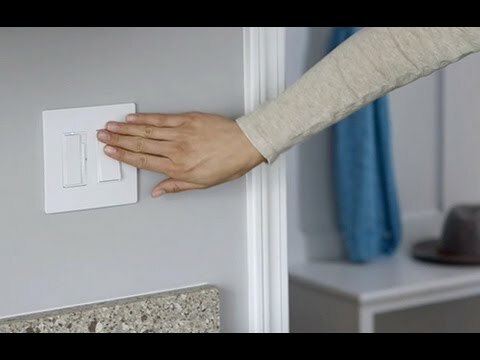 Yes this dimmer is a 0-10V dimmer. It is designed for 0-10V ballasts/drivers. If you do not have a 0-10V ballast this is not the dimmer You want. I would reccomend our RH703PTU it is our Tru universal dimmer designed for a wide variety of light loads. how do i wire a pilot and radiant ?